“I have devoted myself to the cause of the people. Thursday 15th December (6.15pm to 7.45pm), 6.15pm for a 6.45pm start. Speakers will include Sir Tom Devine, and one or more of the editors. Essays for the Twenty First Century is a substantial new book. 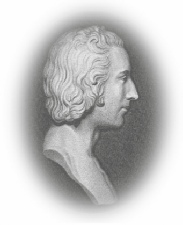 Several of our colleagues in the Friends of Thomas Muir organisation have prepared significant contributions for the volume. In appreciation of this, people on the Friends circulation list are being offered the chance to buy a de luxe hardback edition of the volume, with colour plates. Books can be collect at the official book launch on the 15th December or from the 16th December onwards at Huntershill Gift Shop, Bishopbriggs G64 1RP. If you require your book to be posted, this will incur an additional charge. The expectation is for this limited edition hardback version to become an instant collectible and sought after book. Your name will be listed on a special Subscribers' Page and your copy will be numbered as part of a limited edition. Orders can also be placed after 15th November, but an early order would be appreciated, to ensure that sufficient books are prepared in the first print-run for everyone to receive their copy by 15th December, i.e. in time for Christmas!